Making a change to the life and the daily routine you have established for some years now will surely involve a tiresome and tedious process of packing. Moving to a new location, for instance, may appear to be a simple case of packing up your valuable belongings and driving off to your new home or office. People who have experienced moving will immediately tell you that it demands so much; you will have to comb through every inch of your present home, pack all your possessions into different categories, pack everything into their appropriate box, and get them ready to have them transport to your new location. Sometimes, the simple act of determining which items will make the journey with you and which will find their way to the junk pile can be the most taxing and difficult decision. Our major task is to ensure that your possessions are distributed evenly in the right amount as so to help you transport them with ease. You have to be mindful of choosing small, medium, large, or extra-large boxes. 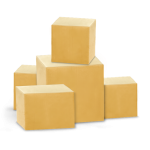 At Uboxes we have boxes of different sizes that all items will be able to fit properly and that the size of the box will not create difficulties when the moving vehicle is being loaded. It's also a wonderful idea to use uniquely designed boxes for specific valuables. There are boxes that are made to store kitchen dishes, clothes, picture frames and mirrors, and flat-screen televisions; the right boxes can translate to a much safer trip free from costly breakages and damages. Carry your equipment and labels with Uboxes. More so, the boxes to be used must have proper moving accessories to ensure greater protection for each item. Bubble wrap and Stretch moving blankets can protect fragile items from moving around their containers or coming into contact with other items, causing scratches, unwanted breaks, and other hurting incidents. Other items can be wrapped or placed in secure bags and sealed with durable packing tape. Our branches are located in all the states in the US. Check out Moving Boxes near me. Uboxes, with all of its related responsibilities, can be a companion and exciting tool for any individual making a significant life change. You will be happy to discover that the part where you pack up all your stuff need not be an undesirable task. With our “high-quality packing materials” in the store and the whole process can be a lot easier so you can focus your attention on the other important aspects of moving into a new home.